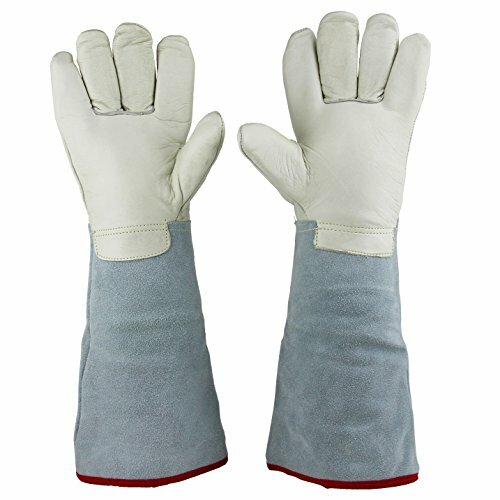 The US Solid Cryogenic Protective Gloves are specially designed for working around Liquid Nitrogen (LN2). They have multiple layers of high industrial quality insulating material that will keep you protected and warm when working with very cold temperatures. These gloves are 35 cm (13.8") long so they safeguard your hands and arms and have the ability to resist surface wear and better grip. These gloves are light, comfortable, heavy-duty, and 100% water proof. Nitrogen condenses to a liquid at -320 F (-195 C) so exposure to your skin can cause serious frostbite injuries and freezer burns. LN2 is an ideal element to work with in the healthcare industry. Hospitals use LN2 for the cryogenic storage of blood and organs. Science related college professors may use LN2 in a lab for experiments. 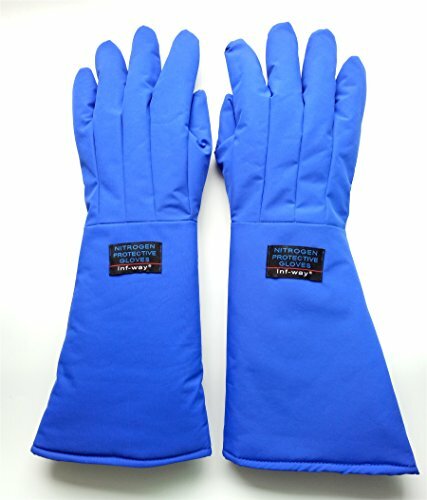 Whether for healthcare professionals or teaching professionals that work in a cryogenic or school lab setting or anyone else that works around LN2, these gloves are essential pieces of safety equipment to have. Whatever your use LN2 for, US Solid provides this pair of 35 cm (13.8") Long Cryogenic Gloves that will keep you shielded from exposure to extreme cold situations. Specially designed for working around Liquid Nitrogen (LN2). Have multiple layers of high industrial quality insulating material to protect you. Light, comfortable, heavy-duty, and 100% water proof. .Gloves are designed to provide a high level of thermal protection where the exposure to cryogenic fluids might exist. .Made from state-of-the-art materials,our waterproof cryogenic gloves are designed to keep you dry and to wick moisture away from your hands, so you can work in comfort for extended periods of time. .A thin, seamless 100%,waterproof liner provides protection from spills and splashes. .Our multi-layered construction allows for a maximum level of thermal protection, flexibility, and dexterity - essential features when function is important and safety is critical. 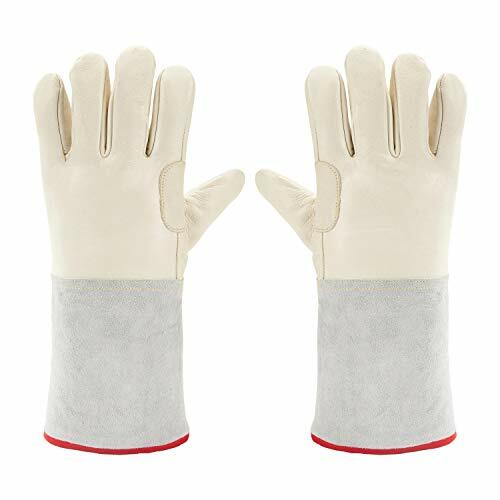 The gloves with 3 layers, 2 layers are composite insulating material and 1 layer is cotton. Low temperature resistant: -268 C~+148 C/-450 ~298 . Cold resistant and keep warm. 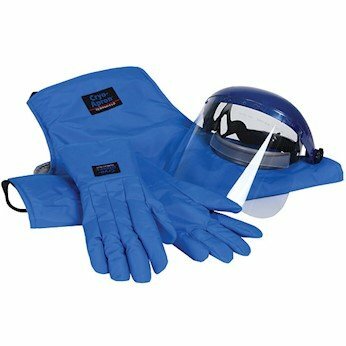 Highlights Inf-way Cryogenic gloves are designed to protect your hands and arms when working with hazadous chemicals or in an environment with extremely cold temperatures. Cryogenic gloves are made using multiple layers of high-quality insulation to guarantee your hands will be protected. Materials: low-temperature cotton, cotton knitting cloth, polyester teffeta, spinning lining and waterproof composite material. 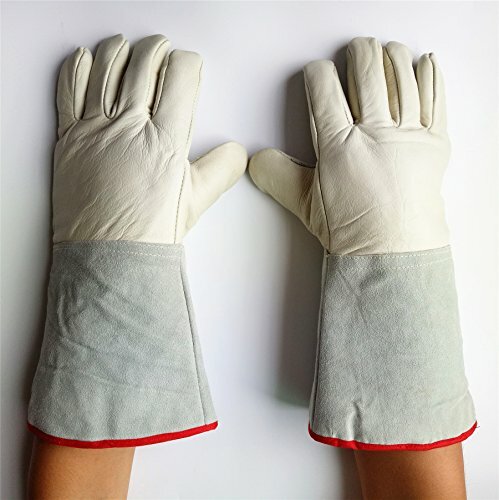 Despite the multilayered design, the gloves are flexible and soft to touch. Your hands will be protected in temperatures as low as -200 or -250 degrees celsius. In addition, cryogenic gloves offer superior protection from heat, including burns. Low temperature resistant: -160 C~-190 C. Cold resistant and keep warm. The surface of the product is using high-quality waterproof cow leather as the first layer, inside layer use cold sponge, Canberra lining. This product has excellent anti-cold and frost protection performance, dedicated to the operation and handling of liquid nitrogen, LNG, dry ice, frozen library handling related work, perfect for a small amount of liquid nitrogen, LNG splash has a very good protective effect. Can withstand -180 - -250 degrees Celsius low temperature. Liquid nitrogen gloves should be stored in a ventilated, mildew, moth, dry place. Avoid storage with acid, alkali, oil and corrosive items. In the normal storage conditions, can be long-term preservation. Liquefied natural gas (LNG) is compressed by natural gas, cooled to its boiling point (-161.5 degrees Celsius) temperature into a liquid, usually liquefied natural gas stored in -161.5 degrees Celsius, 0.1MPa or so low-temperature storage tank, the use of the glove Up effective anti-frostbite effect. This product is only applicable to liquid nitrogen operation, LNG operation antifreeze, ultra-low temperature air and environment, frozen storage room, petrochemical oil, natural gas, frozen grinding and other types of cold protection. OFTEN Ultra Long Cryogenic Gloves Waterproof Protective Gloves Liquid Nitrogen Frozen Gloves Cold Storage,White,17.72"
Excellent cryogenic protection function Wristbands extended design, low temperature resistant, safe and comfortable High quality waterproof cow leather, coldproof import sponge interlayer and canberra lining Low temperature resistant: -160 C to C 190 C. Cold resistant and keep warm.These gloves should be stored in a dry, mouldproof, mothproof, well ventilated area. Color:As the show picture; Weight: About 375g (one pair) Applied in liquid nitrogen operation, LNG operation antifreeze, ultra-low temperature air and environment, frozen storage room, petrochemical oil, natural gas, frozen grinding and other types of cold protection. These gloves should be stored in a dry, mouldproof, mothproof, well ventilated area. 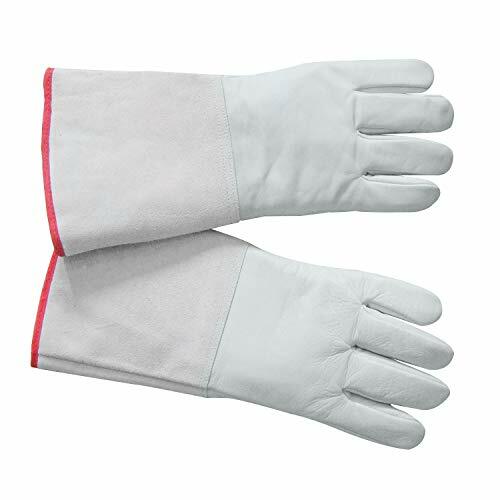 OFTEN Ultra Long Cryogenic Gloves Waterproof Protective Gloves Liquid Nitrogen Frozen Gloves Cold Storage,White,13.78"
-- These gloves should be stored in a dry, mouldproof, mothproof, well ventilated area. Please click Here for more containers with a capacity of 3 L, 6 L, 10 L, 15 L, 20 L and 30 L as well as other Ln2 accessories. 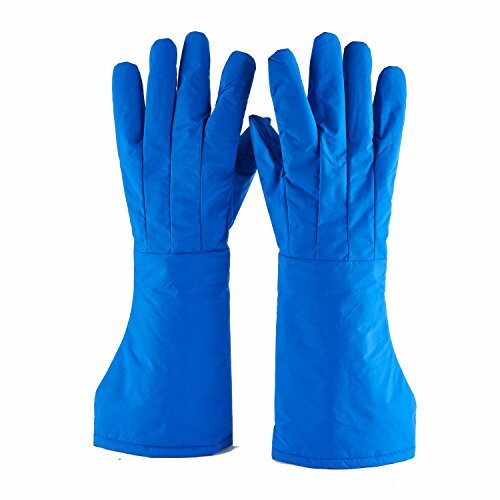 14590: Cryogenic Gloves Ln2 Protective Gloves Liquid Nitrogen 13.8" inch Low Temperature working Gloves Product Overview The product surface by using high quality waterproof Ngau Tau layer skin, it adopts imported cold sponge sandwich, Canberra lining, glove length 35 cm, 45 cm, optional. For professional operation and liquid nitrogen, LNG, dry ice, cold storage and other related products, liquid nitrogen tank of liquid nitrogen. Have a very good protection action for a small amount of liquid nitrogen, LNG splash. 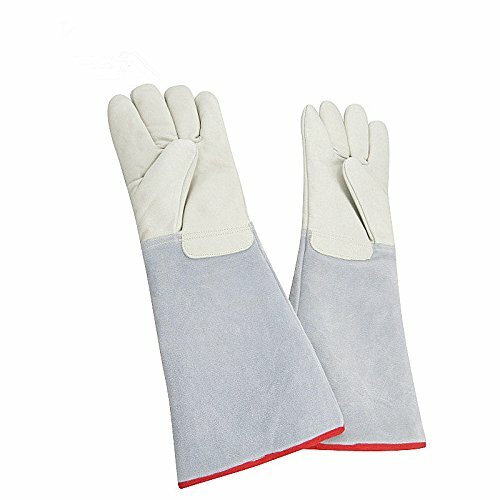 This product has excellent cold frost protection performance,product characteristicsThe nitrogen glove has the following characteristics: The whole hand surface uses the high quality import head layer cowhide, wrist to scrub cow two skins, inside cold imported sponge sandwich, Canberra lining;-180 - the best suitable for low temperature -250 degrees Celsius;maintainance and storageLiquid nitrogen gloves should be stored mildew, moth proofing, dry place in ventilation. Avoid with acid, alkali, oil and corrosive goods stored together. Under normal conditions of storage, can be stored for a long time.working with LN2Liquefied natural gas (LNG) is compressed, cooled to the boiling point of natural gas through (-161.5 degrees Celsius) temperature into a liquid, usually liquefied natural gas storage in the -161.5 degrees Celsius, 0.1 MPa low temperature storage tanks, the use of the gloves in the operation of effective anti freezing effect can be.CE CertificatePlease, visit our eBay store, PacificSale, for more Ln2 Instruments & accessories as well as other product options!For questions regarding pricing, shipping, and product options, call us directly at 626-332-7744. Cryo-Gloves made by Tempshield protect your hands and arms when working in hazardous, ultra-cold environments. Our gloves are designed to provide a high level of thermal protection where the exposure to cryogenic fluids might exist. Made from state-of-the-art materials, our Cryo-Gloves are designed to keep you dry and to wick moisture away from your hands, so you can work in comfort for extended periods of time. A thin, seamless liner provides protection from spills and splashes. Our multi-layered construction allows for a maximum level of thermal protection, flexibility, and dexterity - essential features when function is important and safety is critical. Proper fit contributes to product performance -a tight fit leads to thermal loss. Glove fit should be loose enough to allow for quick removal if necessary. CAUTION: Not intended for immersion in liquid nitrogen or other cryogenic liquids. 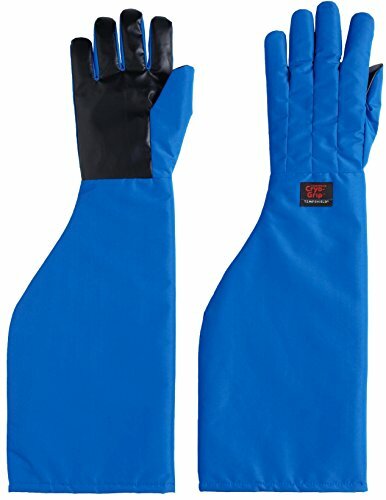 We also offer Wrist, Elbow-Length and Shoulder-Length gloves. Made in the USA (Maine) from 100% US sourced materials. ISO-9001 and CE certified. We hope to provide you with all-round protection and avoid growing cocoon when you are doing high-intensity stress exercises. Therefore, we use the gel antiskid cushion to fully cover the palm of your hand. We hope to provide wrist protection when you are doing strength training and avoid sprained wrists, so we provide extended wristbands. We hope to improve your sports efficiency when exercising. That you don't have to use a big towel every time to wipe sweat, so we have a terry cloth for the thumb. We hope that when you are training your fingers will not have a sense of restraint and let fingers breathing, therefore, we have adopted a combination of breathable mesh fabric and fingers Lycra. We hope that you can easily take off the wearing gloves after exercise, so we designed a professional quick off function for gloves. What we want to do is to make you have a pleasant and safe training to get a better body and mental state, then greets the positive life. Men & Women. Ideal for weight lifting, pull up, exercise, fitness, strength training, gym training, cross training, outdoor sports, and general workout. FULL PALM PROTECTION Microfiber and anti-slip gel cushion covering the entire palm to provide full protection, keep you away from palm damage when doing high strength training. FASHIONABLE BREATHABLE DESIGN Back with mesh breathable fabric and fingers Lycra to increase the comfort and breathability. COMFORTABLE TO WEAR Extended wristband, adjustable strap for wrist protection and perfect fit. EXTRA FEATURES Thumb towel cloth allows you to wipe perspiration quickly, finger quick release design allows you to take off easily. 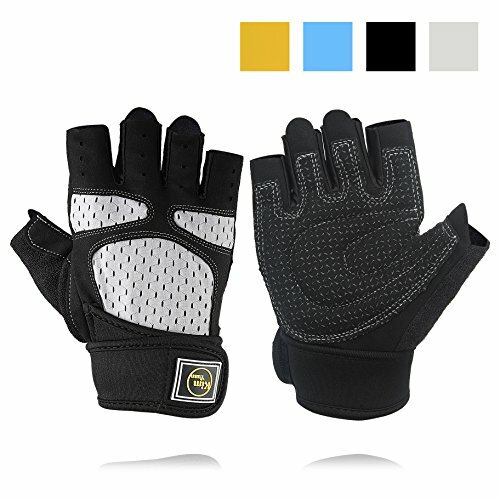 WIDE RANGE APPLICATION This sports gloves features and excellent quality make it suitable for weight lifting, pull up, exercise, cross training, fitness, powerlifting, strength training, gym training, bodybuilding and general workouts. .Made from state-of-the-art materials, our waterproof cryogenic gloves are designed to keep you dry and to wick moisture away from your hands, so you can work in comfort for extended periods of time. .A thin, seamless 100% waterproof liner provides protection from spills and splashes.
. Our multi-layered construction allows for a maximum level of theral protection, flexibility, and dexterity - essential features when function is important and safety is critical.
. cryogenic glove*1pairJoyUtoy engaged in safety and security protection goods (such as safety hat,cold storage coat,heat resistant jacket , heat resistant glove, cut resistant glove, reflective t-shirt, reflective and so on) for more than 20 years, we own ourselves factory so that we can keep quality and quantity. We are in the spirit of customer is God, serve the purpose of good customers. If you have any questions and problem with our goods, please email us directly,please don't leave any negative review, we will reply and solve your problem in time. Thanks! Size: 48cm=18.9 Inch; Made of Multi-layer composite; A thin, seamless 100% waterproof liner provides protection from spills and splashes. Low temperature resistant: (-200 )~(-360 ); Our multi-layered construction allows for a maximum level of theral protection, flexibility, and dexterity - essential features when function is important and safety is critical. Cryo-Gloves made by Tempshield protect your hands and arms when working in hazardous, ultra-cold environments. Our gloves are designed to provide a high level of thermal protection where the exposure to cryogenic fluids might exist. Made from state-of-the-art materials, our Cryo-Gloves are designed to keep you dry and to wick moisture away from your hands, so you can work in comfort for extended periods of time. A thin, seamless liner provides protection from spills and splashes. Our multi-layered construction allows for a maximum level of thermal protection, flexibility, and dexterity - essential features when function is important and safety is critical. Proper fit contributes to product performance -a tight fit leads to thermal loss. Glove fit should be loose enough to allow for quick removal if necessary. CAUTION: Not intended for immersion in liquid nitrogen or other cryogenic liquids. 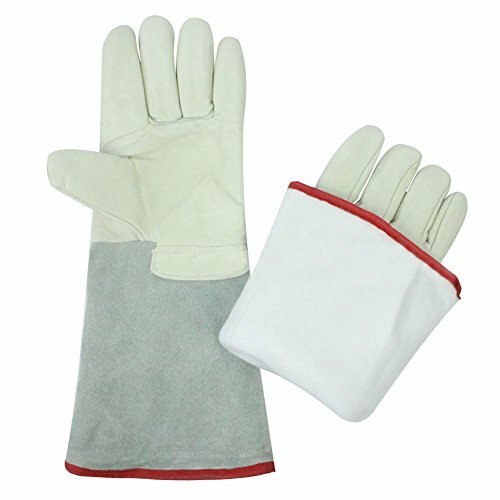 We also offer Wrist, Mid-Arm and Shoulder-Length gloves. Go PINK! 10% of all sales from this glove will be donated to breast cancer research. These are a pair of U.S. Solid Cryogenic Protective Gloves. They are specifically designed for working around Liquid Nitrogen (LN2). 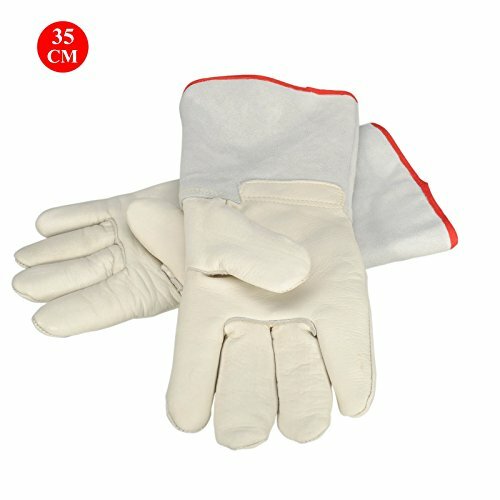 These gloves are 45 cm (17.7") long so they can protect your hands and arms from exposure. They resist surface wear and have a better grip. 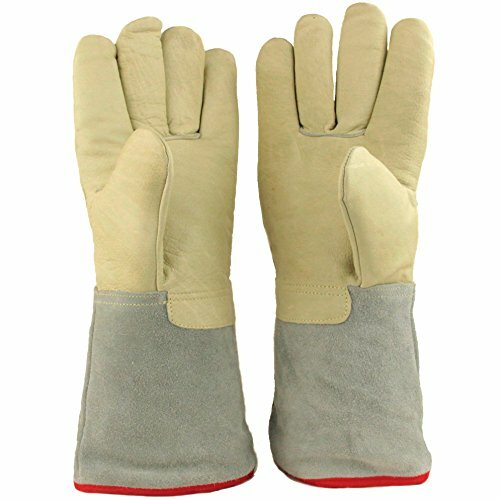 These gloves utilize multiple layers of high industrial quality insulating material that will keep you protected and warm when working with very cold temperatures. These gloves are light, comfortable, durable, and 100% water proof giving you the ability to wear them for extended periods of time. Nitrogen condenses to a liquid at -320 F (-195 C) so exposure to your skin will cause severe frostbite injuries and freezer burns. LN2 is an ideal element to work with in the healthcare and teaching industries. Hospitals use LN2 for the cryogenic storage of blood and organs. Science teachers or college professors may use LN2 for laboratory experiments. 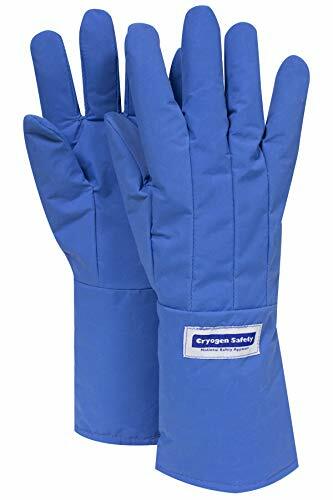 Whether for healthcare professionals or teaching professionals or anyone else that works around LN2, these gloves are essential pieces of safety equipment to have. 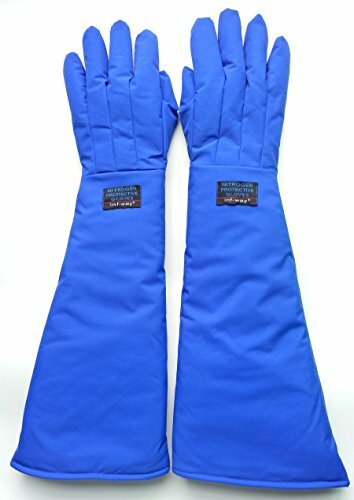 Whatever your use LN2 for, here is a pair of US Solid 45 cm (17.7") Long Cryogenic Gloves that will keep you protected from exposure to extreme cold situations. 1 pair cryogenic glove Company Profile JoyUtoy engaged in safety and security protection goods (such as safety hat,cold storage coat,heat resistant jacket , heat resistant glove, cut resistant glove, reflective t-shirt, reflective vest,welding helmet, welding gloves and so on) for more than 20 years, we own ourselves factory so that we can keep quality and quantity. Our company have 1000 employees with high quality professional skills. We are in the spirit of customer is God, serve the purpose of good customers. Welcome all customers to cooperate with us, we will try our best to service to you. If you have any questions and problem with our goods, please email us directly,please don't leave any negative review, we will reply and solve your problem in time. Thanks! Cold resistant import sponge inter layer and Canberra lining. These gloves should be stored in a dry, mothproof, well ventilated area. Can be applied in low temperature warehouse, frozen laboratory, liquid nitrogen, workplace. Waterproof Cryo-Grip Gloves made by Tempshield - now with superior grip performance - protect your hands and arms when working in hazardous, ultra-cold environments. Our gloves are designed to provide a high level of thermal protection where the exposure to cryogenic fluids might exist. Made from state-of-the-art materials, our waterproof cryogenic gloves are designed to keep you dry and to wick moisture away from your hands, so you can work in comfort for extended periods of time. A thin, seamless 100 percent waterproof liner provides protection from spills and splashes. Our multi-layered construction allows for a maximum level of thermal protection, flexibility, and dexterity - essential features when function is important and safety is critical. Proper fit contributes to product performance -a tight fit leads to thermal loss. Glove fit should be loose enough to allow for quick removal if necessary. CAUTION: Not intended for immersion in liquid nitrogen or other cryogenic liquids. 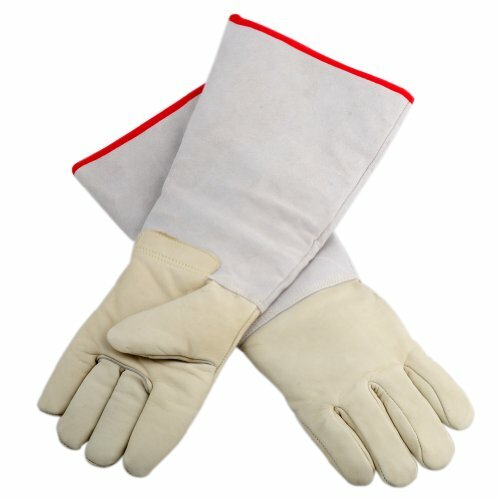 We also offer Wrist, Mid-Arm and Elbow-Length gloves. The industry's best glove just got better - now with CRYO-GRIP for superior grip performance. Made in the USA (Maine) at our ISO-9001certified facility. Water-resistant cryo-gloves provide protection in closed cryogenic systems with limited risk of exposure to cryogenic fluids. A STAY-DRY lining keeps you warm and comfortable. Cryo-apron is rated for use with LN2 vapor phase and liquefied natural gas (long). lightweight insulation is nontoxic and Asbestos-Free; provides warmth without bulk. Aprons are machine washable/dryable. Note: do not immerse apparel in liquid nitrogen. Stay protected and save money with these bundled kits gloves protect at temperatures as low as -256 f (-160 c) and multi-layered insulated construction provides maximum thermal protection while maintaining flexibility and dexterity. 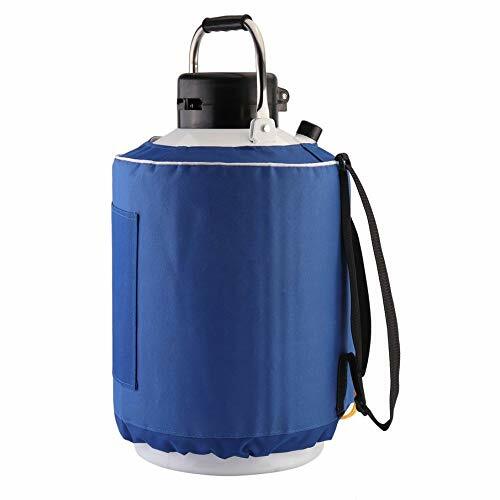 Apron's 100 percent waterproof liner prevents spilled fluid and cold equipment from coming in contact with the torso, and the adjustable plastic fasteners at waist and neck snap easily into place.